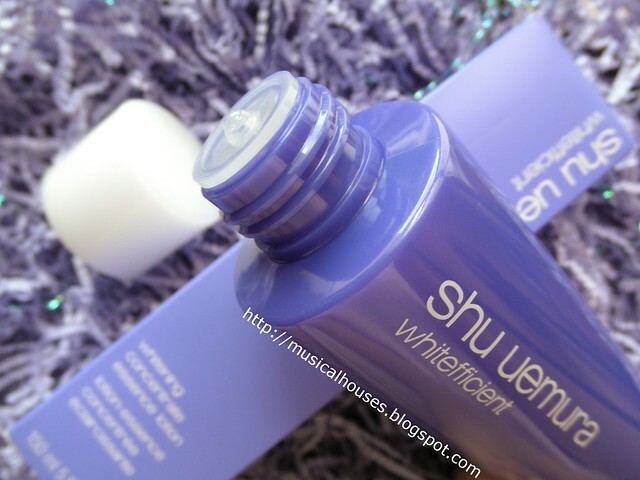 Shu Uemura is a Japanese brand known for quite a number of things - their wide range of colour makeup, their cleansing oils, as well as their skincare, and the brand's Whitefficient skincare range is, as the name suggests, a whitening and brightening skincare range. The Whitefficient range is pretty extensive, with a cleansing oil, emulsion, essence, cream, mask, treatment cream/concealer, and this - a lotion called the Whitefficient Whitening Concentrate Essence Lotion! I actually got my bottle of Whitening Concentrate Essence Lotion from ShopJBP, an online shop which specializes in selling Japanese beauty and skincare products directly from Japan, and carries quite the range of brands, including SK-II, Fancl, and Shiseido, as well as some more niche brands like Albion, RMK and Sofina. The prices are quite good - although Shu Uemura is available in Singapore, I found that the prices of items on the site is actually lower than that in Singapore. Shipping was also quite fast for me, taking about a week or maybe a bit longer. - they had good customer service and even included a couple of Yojira Kyoto "Aburatorigami" Oil Blotting Papers, which are blotting papers to help the skin keep matte. When I posted a photo of the products on Instagram, I was told by Kay of Cosmeddicted (who, by the way, I've interviewed before for my blog waaaay back in 2011 - it's a pretty interesting interview where she talks about Western vs Asian beauty, having lived both in Japan and the West) that these were very popular back in Japan. Anyway, pardon my little diversion, it's just that the blotting paper was new to me, and I found it pretty cool. But let's get back to the review at hand, shall we? Since this is a whitening and brightening product, I thought I'd start off the review by answering the question I know all users of whitening products would ask - does it really work? And for that, let's head straight to the ingredients list. 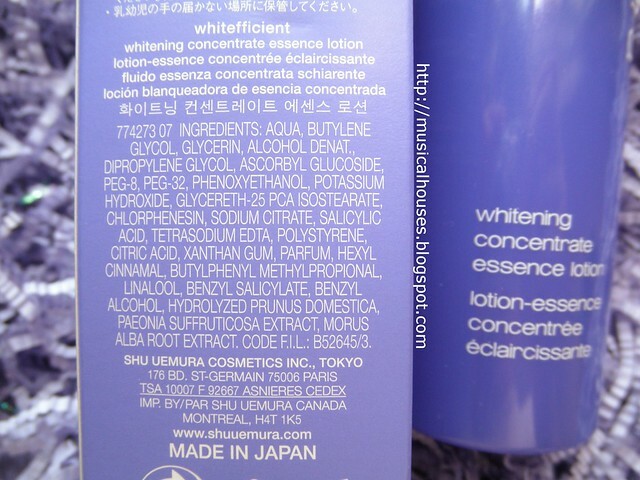 Interestingly, the first hting I noticed is that the ingredients list on my own bottle of Whitefficient Whitening Concentrate Essence Lotion was different from the ingredients list on Shu Uemura's own site. I'm not sure why this is the case - perhaps there was a reformulation, or (less likely) some regional difference in formula - but for what it's worth, the products appear to be somewhat similar and would probably function similarly, since they contain a mixture of water, humectants, maybe some emollients, some emulsifiers, and Ascorbyl Glucoside,. The main difference is that one version has alcohol while the other doesn't, and that some of the minor ingredients, like plant extracts, have changed. In any case, because I'm reviewing the bottle I have on hand, I'll use the ingredients list from my own bottle. Like I mentioned, this product is mostly water, and after that, some humectants (Glycerin, as well as Butylene Glycol and Dipropylene Glycol, which can both also function as slip agents), Alcohol Denat., Ascorbyl Glucoside, and some emulsifiers (PEG-8, PEG-32). These are the main components of the product, because after that, the next ingredient is Phenoxyethanol, which is the preservative, and typically used in concentrations less than 0.1% (this includes all the major cosmetic markets, such as including Japan and Europe, and the US), so anything after Phenoxyethanol is in concentrations of less than 0.1%, and is probably a fairly minor ingredient. So the main whitening ingredient here is Ascorbyl Glucoside, which is a derivative of Vitamin C that is pretty stable (unlike Ascorbic Acid, which while effective, which is notoriously reactive), so you don't have to worry too much about the product oxidizing before you use it up. It's an anti-oxidant, and provides whitening benefits, and is commonly found in a variety of whitening products. I've reviewed a bunch of products with this ingredient before (including products from Japanese drugstore brands, a Western brands, and even makeup products with the ingredient in it). 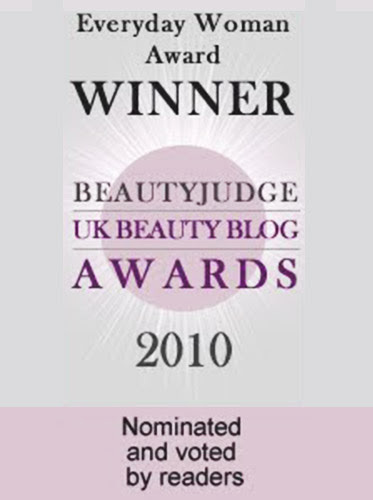 "Alcohol will be drying to your skin if a product is formulated with very high levels of it and not much else, but in most products I've seen, the alcohol serves a useful purpose. Because alcohol is a good penetration enhancer, it often is used in skincare products to deliver the active ingredients to the skin, which would otherwise sit on top of the skin and not yield much benefit...A second use of alcohol that is beneficial in skincare is to thin out products. So if you have a product that is formulated with a lot of oils or waxes or heavy-feeling ingredients, you can add in some alcohol to thin out the product and make it easier to apply on the skin. So to sum up, yes - while it is true that alcohol by itself can indeed dry out the skin (for sure I wouldn't recommend that anyone take 100% alcohol and swab it over their face! 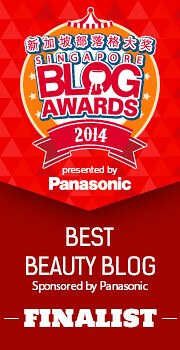 ), it actually has beneficial uses in skincare, depending on the formulation." And I still hold this view, and have reiterated it in other blogposts too. So what is alcohol doing in this product? In this product, it functions as a penetration enhancer, meaning that it helps the active ingredients (Ascorbyl GLucoside in this case) penetrate into the skin so it can work better. It's often found in Vitamin C-containing products to increase the penetration of the Vitamin C. So is it bad for your skin? In my view, maybe, if you have very dry skin, or skin that is sensitive to alcohol, then the product may be a tad drying for you. But if you have oily skin, or normal skin, then I don't think the alcohol content would bother your skin too much. It depends on your own skin, as well as your personal preferences. So, from a formulation perspective, we can expect this product to have some moisturizing benefit via the humectants, and have some whitening and anti-oxidant benefit from the Ascorbyl Glucoside. For some, the moisturizing benefit might be offset by the alcohol content in the product - it all depends on how your skin is and how it reacts to the product. Now that we're done with the ingredients analysis, I'll talk about my experience with the product. The first thing I noticed when I poured it out of the bottle is that it is quite heavily fragranced with a floral fragrance. It didn't bother me, but it may be an issue for those who don't like scented products. The texture is quite similar to water, and there is a slightly milky tint to the water. 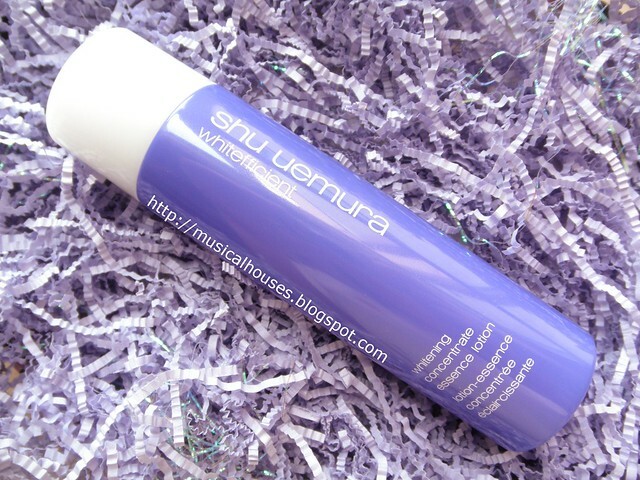 When I applied this on my skin, I found that it does sink in fast and initially felt quite emollient and moisturizing. Subsequently, it quickly dries down and leaves behind a slightly sticky feel (and I do mean slight). On me, this didn't feel particularly drying - perhaps it's not as moiturizing as some creams given the light texture and the fact that it is formulated with humectants but not much emollients, so I guess if you live in a hot and humid climate like me, or if you are looking for something lighter-textured for hotter weather, this might be a good pick. Another thing I liked about the product was the fact that the packaging was pretty spill-proof. There is a small opening that dispenses the lotion in droplets, so you don't run the risk of accidentally pouring out half a bottle onto your palm when you're trying to apply this. So all in all, would I recommend this? I would say, yes, if you are looking for a light-textured lotion with whitening properties, and if the fragrance and alcohol content doesn't bother you. Because it's quite light, it can also be used under a thicker moisturizer if you so wish to do so. 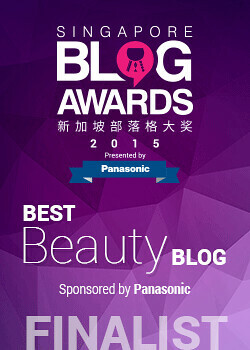 If you've tried and liked other Japanese-style lotions, then you might like this too. The Bottom Line: The Whitefficient Concentrate Essence Lotion is a watery lotion with humectant and whitening properties, which might help if you are looking for something light. While Alcohol is sometimes hated when included in effective skin whitening lotions, it may also be beneficial so long as you don't mind the sting. Yes it does get absorbed quickly due to the volatile nature of alcohol. The benefit I'm talking about is antibacterial effects so I really don't mind using it if it's also alcohol based.